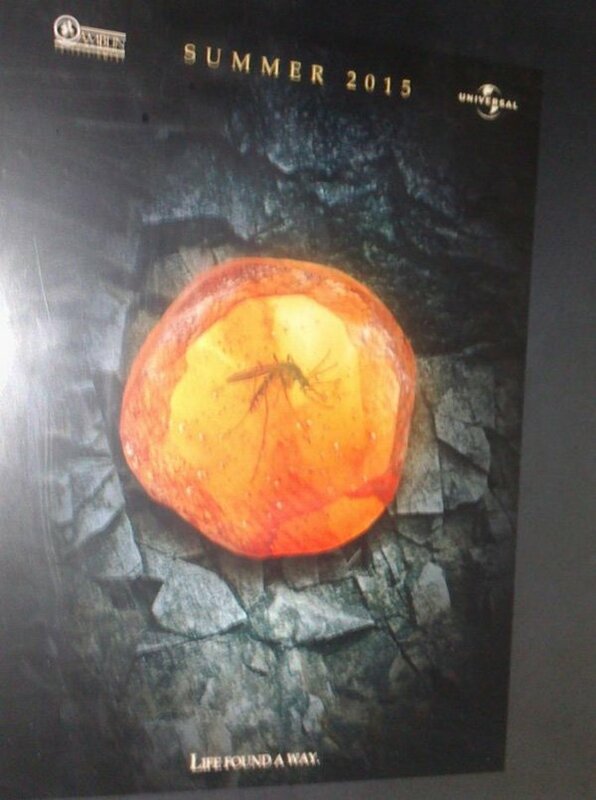 Is This The First Teaser Poster For Jurassic Park IV? UPDATE: JurassicPark4-Movie.com has pointed out that the poster is not actually real, but instead a piece taken from DeviantArt. The original story is below. When Universal Pictures pushed Jurassic Park IV back from its original 2014 release date, fans around the world made a collective gulping noise. It's been 12 years since Jurassic Park III, and while talks about another sequel have dotted the last decade-plus, all of the talk was very hard to take seriously. But when Universal firmly claimed that they would have another Jurassic Park film in theaters next year, they had fans rejoicing and believing - only to then pull the rug out from beneath them. Even though the project has a director in Safety Not Guaranteed's Colin Trevorrow, and we've seen some pre-production images, it's still hard to trust that the movie is actually happening. But now a supposedly leaked teaser poster for the movie is here to try and help us have faith. "A friend of mine works for Amblin Entertainment, and he told me that a teaser poster will be released soon for the 2015 blockbuster, Jurassic Park IV. I didn't believed him, so he just sent me a picture from the poster, without any comment. It seems valid, but I don't know for sure. I think it will come to light soon!" "Life Found A Way," the tagline on the poster, is an obvious reference to the classic Jeff Goldblum line from Steven Spielberg's 1993 original, and the mosquito stuck in amber is a callback to how the extinct dinosaurs were brought back to life, but it's the lack of title and release date that I find most interesting. If this one-sheet is real, its release date builds on info that we learned last month - not only will Jurassic Park IV be a 2015 release, it will be a summer 2015 release. This puts the film in a pretty crazy crowd that also includes The Avengers 2, Star Wars Episode VII, Terminator 5, Pirates of the Caribbean 5, Independence Day 2, and very likely a sequel to Man of Steel or another DC Comics based movie. The other interesting part of this poster is the fact that it doesn't have a title. Obviously the tagline and image are enough to let us know that the movie being advertised is Jurassic Park IV, but are they just being clever in hiding the title or is Jurassic Park IV simply not the name of the movie? The teaser poster from last month didn't have a numeral on it either, so it's possible that the latest sequel could be more like Jurassic Park: The Lost World than Jurassic Park III - in terms of its name. At this stage we don't know much about the plot of the film, though it has been rumored that the story will be taking audiences back to the original island, Isla Nublar, where John Hammond's original dream of Jurassic Park has been realized and is a fully functioning theme park. Be sure to keep checking back as we learn more about the movie and stayed tuned to possibly see an official version of the poster above.